Simply put, Bench Hardness Testers are the most accurate way to measure hardness. They are considered to perform a "destructive" test because they will leave a small impression on the tested surface. Capable of measuring with up to 150kg force a bench hardness tester is heavy machine that will need a sturdy bench to support it. 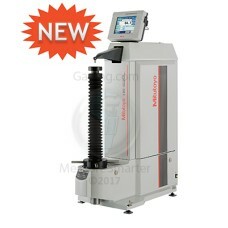 Some models feature both superficial and standard Rockwell hardness testing (twin tester). Contact us with any questions! Our technicians will be happy to assist you with your application. 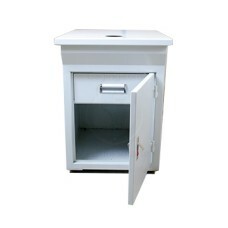 The Phase II+ 900331-STAND Phase II+ Cabinet/Stand for Hardness Testers is on sale at Gaging.com! T..
*Laptop not included The PHT-5000 Phase II+ Optical BRINELL Reader is on sale at Gaging.com.. The 53-770-600 is on sale at Gaging.com! 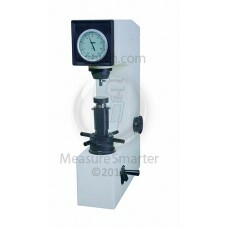 This gage is a high quality, Rockwell Bench Hardness Tester.. 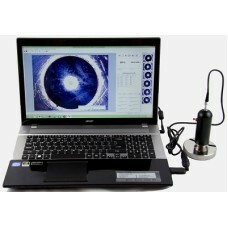 The 54-770-650-1 Fowler Digital Rockwell Hardness Tester is on sale at Gaging.com! A high quality p.. 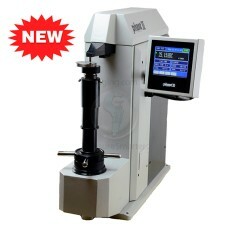 The 810-237 Mitutoyo HR-530 Digital Rockwell Hardness Tester is on sale at Gaging.com! We are autho.. 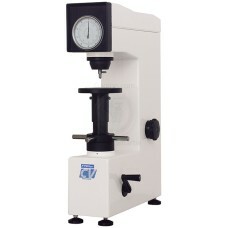 The 810-337 Mitutoyo HR-530L Digital Rockwell Hardness Tester is on sale at Gaging.com! We are auth.. The 963-220-10A HR-210MR Mitutoyo Analog Rockwell HardnessTester is on sale at Gaging.com! We .. 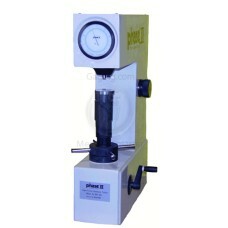 The ISH-R150 INSIZE Rockwell Hardness Tester - Manual is on sale at Gaging.com. Measure smarter! .. 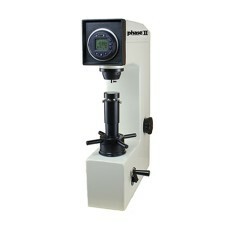 The 900-331 Phase II+ Rockwell bench hardness tester is easy to operate, yet engineered to o.. 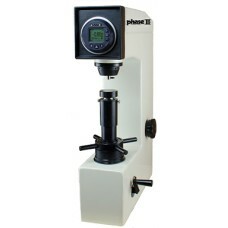 The 900-331D Phase II+ Rockwell Digital bench hardness tester is easy to operate, yet engine.. 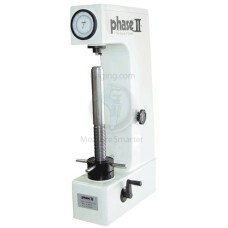 The 900-332 Phase II+ Tall Frame Rockwell Hardness Tester is on sale at Gaging.com. Measure ..
Used for testing thin and soft material in the Superficial Rockwell Hardness scales, this hardness t.. 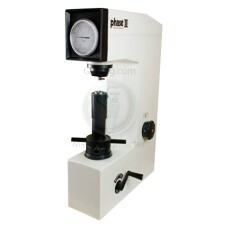 The 900-345D Phase II+ Superficial Rockwell Hardness Tester with Digital Indicator is on sale at Gag.. 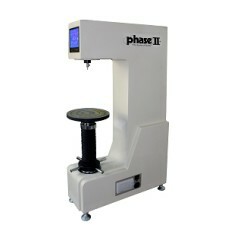 The 900-346 Phase II+ Digital Superficial Rockwell Hardness Tester with Load Cell technology is on s.. The 900-349 Phase II+ Tall Frame Digital Superficial Rockwell Hardness Tester is on sale at Gaging.c.. 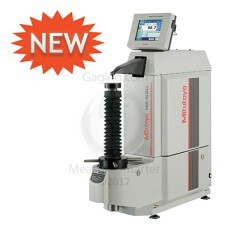 The 900-367 Phase II+ Digital Rockwell Hardness Tester with Load Cell technology is on sale at Gagin..